Since 2002 JSC Trade House “Kurganskiye Prycepy” has been a manufacturing firm specializing in output of car trailers model 8213 with special design that have a utility model certificate and are represented in several modifications combined by a common name “Krepysh”. Trade House “Kurganskiye Prycepy” was established in 1999 as company for wholesale and retail of car trailers. Within a year the company managed to achieve relatively large volume of sales and create a multibranch trading network in Russian Federation. This includes an all-purpose cargo trailer 8123 – “Krepysh” proper; “Krepysh-UAZ” adapted to using with UAZ cars, “Taiga – II” trailer for snowmobiles transportation, “Vodnik” trailer for boats and personal watercrafts transportation. Every month more than 800 “Krepysh” trailers leave the assembly shop of the company. More than 500 employees work in the company, more than 80% of them are engaged in operating departments. Company structure consists of manufacture preparation shop and small batches, polymeric coating shop, assembly shop, sewing area, transport area, chief engineer service, sales department, material and technical supply department, accounting department. Company structure is constantly improving and developing. In order to improve the quality of the manufactured products, we place efficient equipment in operation, as well as introduce automatically controlled plazma cutting of sheet metal and use machine tools with programmed numerical control for machining. Welcome at “Kurganskiye Prycepy” website! 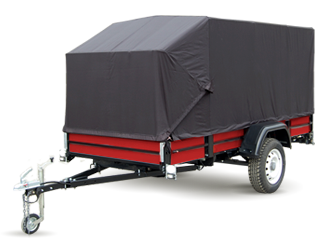 A trailer is a car’s best friend, and a good friend, as it is generally known, should be reliable and loyal. Trade house “Kurganskiye Prycepy” offers the most reliable car trailers that have been tested by roads and time-proved. You are facing a difficult task – to choose the suitable trailer from a wide variety of specialized and all-purpose trailers. “Kurganskiye Prycepy” guarantees that all the models are united by high quality and optimal technical characteristics. What makes Kurgan Trailers safe travelling companion? First, our company created a unique car trailer construction with special design. This is accompanied by certified quality and excellent assembly. Second, we have a great experience in trailers manufacturing, consequently, we have manufacturing capabilities and high-class specialists. Nevertheless, our company does not stop at what has been accomplished, but constantly improves. “Kurganskiye Prycepy” main aim is to improve quality and safety of our production. Third, TH “Kurganskiye Prycepy” has all the opportunities to work out the new models that are to the best advantage adapted to your needs. We are working on expanding the range of trailers and are glad to provide our customers an opportunity to choose the model of the proper version. Considering the specificity of the using of our car trailers, we created trailers for transportation of snowmobiles, all-terrain vehicles, boats and personal watercrafts (“Krepysh-Taiga” and “Krepysh-Vodnik” models). If you purchase a trailer to use with an off-road vehicle, then “Krepysh-UAZ” is an optimal choice. An all-purpose cargo “Krepysh” trailer will suit you as a general-purpose trailer. In any case you can be sure that a safe car trailer will become your travelling companion. The trailer can be proud of unique payload and increased stability, the possibility of compact keeping and various colouring of the frame, placing of an awning and additional lorry sides. 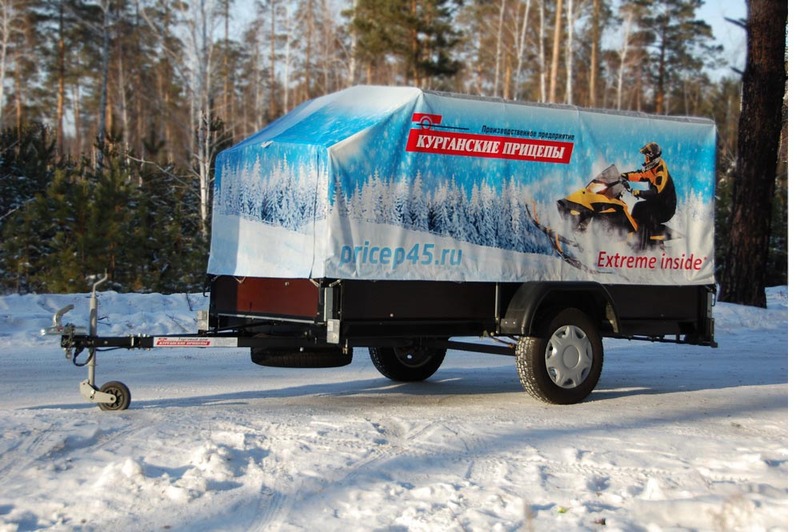 One can purchase a trailer manufactured by “Kurganskiye Prycepy” in many regions of Russia. The dealer network is presented in the following cities: Moscow, St. Petersburg, Yekaterinburg, Tyumen, Chelyabinsk, Ufa, Ulan-Ude, Elista, Petrozavodsk, Kazan, Naberezhnye Chelny, Barnaul, Biysk, Slavgorod, Sosnovoborsk (Krasnoyarsk region), Perm, Stavropol, Blagoveshensk (Amur region), Archangelsk, Severodvinsk, Bryansk, Volgograd, Cherepovets (Vologda region), Voronezh, Ivanovo, Irkutsk, Kemerovo, Novokuznetsk, Kurgan, Krasnodar, Novosibirsk, Berdsk, Omsk, Orenburg, Buzuluk, Sorichinsk, Penza, Serdobsk, Kamenka, Rostov-on-Don, Samara, Saratov, Yuzhno-Sakhalinsk, Tomsk, Nizhnevartovsk, Ulianovsk, Yaroslavl.